You can't spend time with these leaders and not be changed as a person . Prateep, a lady with an endless amount of energy, is a former senator of the Thai government and has been an advocate for women and children in the poorest communities of Thailand for the past 35 years. In 1980, she became the first Asian citizen to receive the John D.Rockefeller Youth Award for Outstanding Contribution to Mankind. With the prize money she established the Foundation for Slum Child Care where she continues today to provide opportunities to thousands of people within the slums of Bangkok. Amongst her many responsibilities include working for the United Nations as a subject matter expert, she is also leading the community response to one of Bangkok’s largest relocation projects as the Government attempts to shut down the slums. A hero of the slums of Klong Toey if ever there was one, rightfully earning her nickname “Slum Angel”. Her ability to achieve remarkable results through her unique influencing skills is something all leaders should embrace. 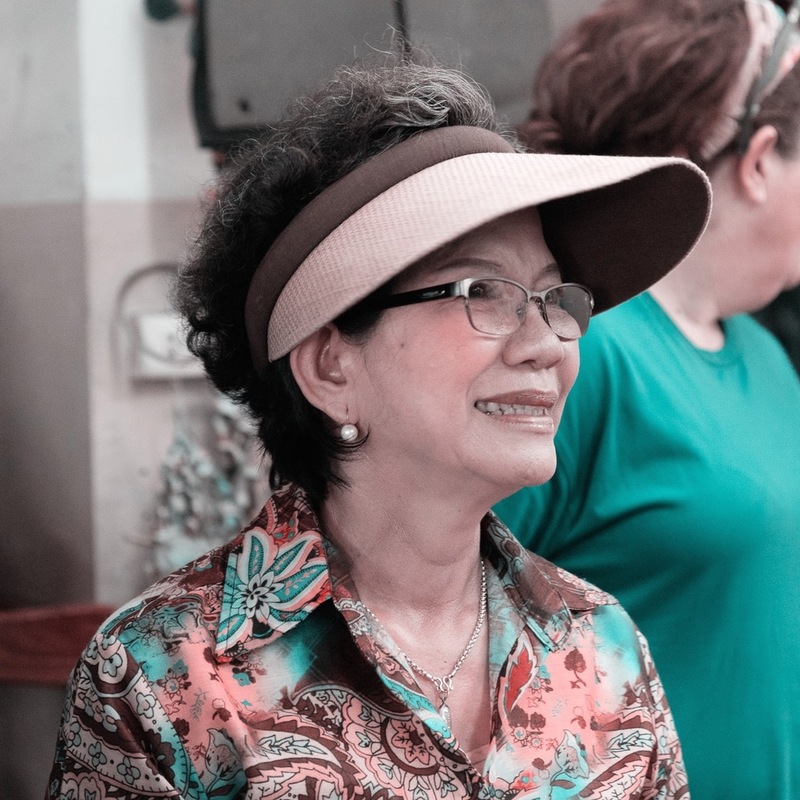 Setting aside her daily battle with terminal cancer she rises each day to care for up to 100 children who fill Home Hug which is a home for children who have HIV or who have lost their parents to HIV. Home Hug was founded by Mae Thiew 29 years ago. She has buried more children than is imaginable, but somehow has continued to offer a place of hope for the children who have no other option. Voted as the Asian Person of the Year in 2011, Mae Thiew offers a rare insight into facing daily discrimination and rising above challenges and providing love to those society rejects. She stands as an advocate for those without a voice and its her unwavering commitment that is so inspiring. You can’t spend time with Mae Thiew and the children she cares for and not be changed as a person. 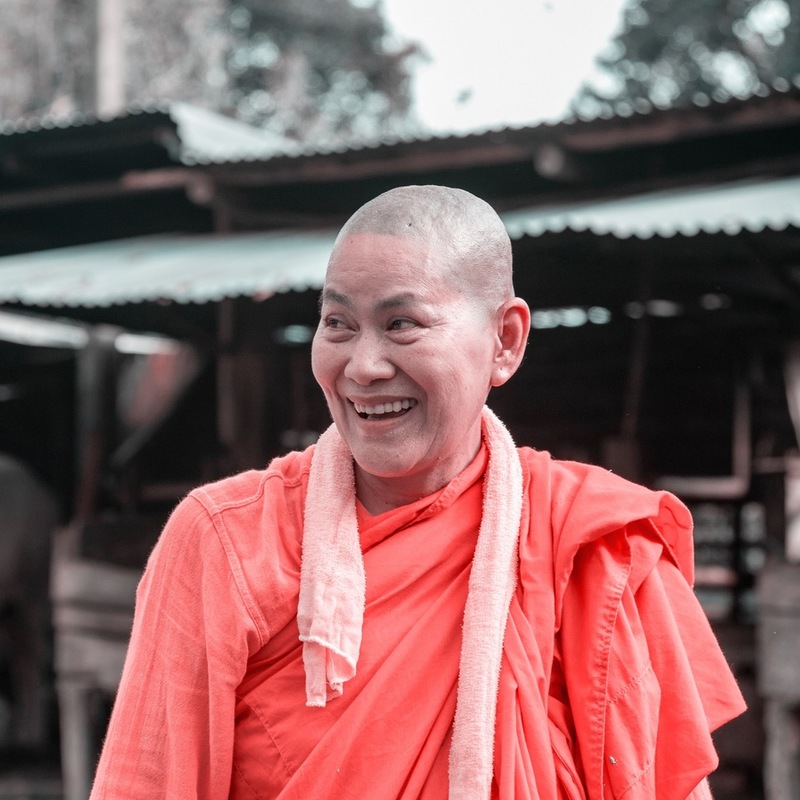 Spending time with Mae Thiew you develop a deeper appreciation of what strength, courage, acceptance and tolerance really mean. Peter Baines OAM, a former forensics officer with the NSW State Police Force developed his unique leadership style by leading international identification and recovery teams into Indonesia and Thailand following acts of terrorism and the 2004 South East Asian Tsunami. He would go on to work in the counter terrorism area of Interpol, spent time with the United Nations Office of Drug and Crime and also worked in Saudi Arabia and Japan after natural disasters to hit those countries. But it was his work in Thailand that brought the biggest change. After meeting the children left orphaned by the Tsunami, Peter felt compelled to act and founded an Australian charity called Hands Across the Water to support them which has gone on to create opportunities for hundreds of children across Thailand and raised over $15m AUD in the process. It was the success of the shared experiences that Peter created with Hands that led him to focus on building successful engagement strategies. Today, Peter has a successful consulting business building engagement through corporate social responsibility and presents across the globe to major corporations and governments on Leadership. He is the author of two books, Hands Across the Water, published by Pan MacMillian which recounts his journey through his forensic work onto the international crisis stage, to setting up the international aid organisation that continues to grow. His second book released in February 2015 and published by Wiley is his first business book which provides a blueprint for building experience led engagement programs with a focus on shared value. In January 2014, Peter was recognised in the Australia Day honours with the awarding of the Order of Australia Medal for his International Humanitarian work.